Three barihunks, including two of our calendar models, are among the twelve finalists in the 2012 Lotte Lenya Competition. Douglas Carpenter, Justin Hopkins and Nicky Wuchinger have all advanced in the competition. The participants will compete for prizes of $15,000, $10,000 and $7,500 in the finals, which will be held on April 21, 2012, at the Eastman School of Music in Rochester, New York. Three-time Tony Award nominee and Broadway diva Rebecca Luker will serve as a judge along with Encores! music director Rob Berman and Rodgers & Hammerstein Organization President Theodore S. Chapin. Held annually by the Kurt Weill Foundation for Music, the Lotte Lenya Competition is an international theater singing contest that recognizes talented young singer-actors, ages 19-30, who are dramatically and musically convincing in a wide range of repertoire, and emphasizes the acting of songs within a dramatic context. The competition has attracted numerous barihunks, many of whom have gone on to win the competition. 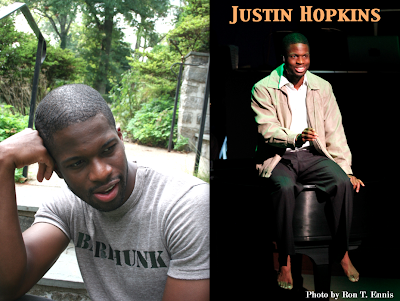 Barihunk winners include Lucas Meachem, Liam Bonner, Zachary James, Cooper Grodin and Justin Lee Miller. Other 2012 finalists include mezzos Megan Marino, Cecelia Tickton and Christine Amon; sopranos Briana Elyse Hunter, Mollie Vogt-Welch, Natalie Ballenger and Maria Failla; tenors Matthew Grills and Jacob Keith Watson. The competition will culminate in an evening concert featuring all of the finalists, followed by the announcement of the winners. Both the daytime finals and evening concert are free and open to the public, and will take place in Kilbourn Hall at the Eastman School of Music. The Kurt Weill Foundation will award special prizes in addition to the top prizes, and has already presented an Emerging Talent Award to tenor Robert Ariza and the Grace Keagy Award for Outstanding Vocal Promise to mezzo Kate Tombaugh.